In a biorefinery context, pyrolysis and gasification are especially interesting as both platforms offer high feed and product flexibility, providing the possibility to convert many different biogenic feedstocks into a wide variety of products such as heat, electricity, chemicals, transport fuels, and high-value ash and char products. 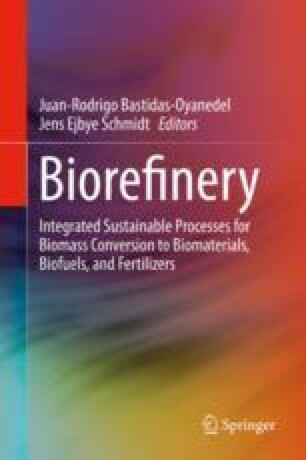 However, in order to increase the utilization of biomass pyrolysis and gasification and make it commercially interesting in future energy systems, new integrated biorefinery designs with optimized thermal concepts and combinations of different technologies are required to maximize product yield and value, increase the overall process efficiency, and improve the economic viability. The present chapter provides an insight on the versatility and potential of biomass pyrolysis and gasification processes and their products. It also describes some new concepts and solutions like process integration schemes, polygeneration strategies, biochar uses, and tar abatement strategies that can help to overcome the operational challenges that the technology is facing.